One year ago Good Food Catford hit its target of £32,000 on Spacehive after successfully crowdfunding in the second round of the Mayor of London’s Crowdfunding Programme. Over 340 people pledged alongside the Mayor and since opening ten months ago they have fulfilled their plans to open a community-centred grocery store and deli. So it’s with pleasure we can reveal that Good Food has been shortlisted for the best shop in Catford as part of Time Out’s #LoveLondonAwards. The awards, now in their second year, recognise the restaurants, bars, cafés, shops and cultural venues that are dedicated to making Londoners’ lives better. Good Food is a social enterprise – a grocery shop and deli on a mission to do the right thing, not just make money. They want to help make the food industry fairer and more sustainable, as well as make local food affordable and accessible to everyone. It’s also supporting other great local businesses, helping to keep money in South East London. If they can’t source their produce or products in SE London then they try to stay within London. They even keep unnecessary wastage down by making most of what is sold in store using produce from the shop which is mostly organic or local. They’ve also launched an allotment vegetable swap scheme with the two closest allotments to the shop. 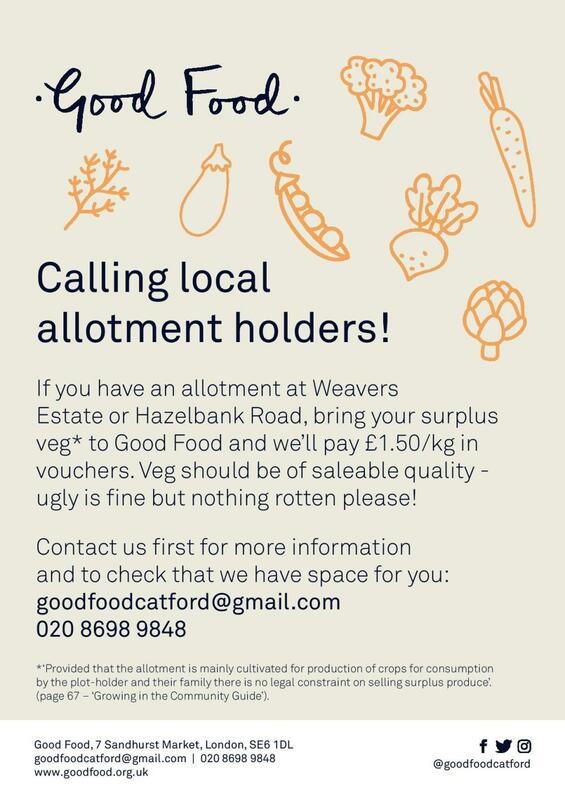 Hazelbank and Weavers Estate allotment holders will be able to bring in their surplus produce in exchange for a voucher to spend in store, making their vegetables available to local residents for just £2 per kg. When Good Food was conceived Catford had several boarded up shops at risk of being converted to flats despite a growing demand for independent shops on the high street. Since its launch it has brought new life into Catford’s once vibrant shopping parades. 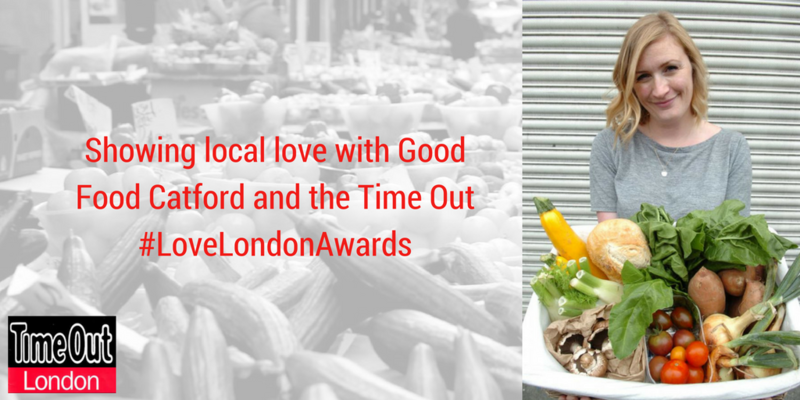 Help Good Food continue the positive impact they’re making in the area and vote for them in the #LoveLondonAwards. Voting is open here until the 31st of October and the winner will be announced in early November.